From On Call: The Official Newsletter of the St. Elsewhere Appreciation Club, volume 2, number 2, July 1998. It is not whistled nearly as much as the opening cue from the Andy Griffith Show, nor does it have memorable lyrics such as those from Gilligan's Island, but the St. Elsewhere theme is, nonetheless, one of the most recognized in the history of dramatic television. Still, the music of St. Elsewhere is a story that is less about theme, and more about the daily grind of scoring and production, and of the creative people (one in particular) who helped make the show great. 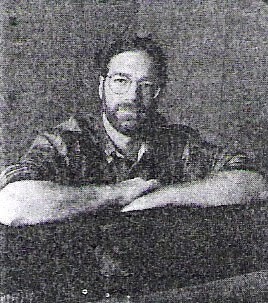 Jonathan Alfred Clawson Redford (known as J.A.C.) was born into a "show biz" family. His grandmother was a Ziegfield girl, his mother a classical singer, and his father an actor. After graduating from BYU, J.A.C. and whie LeAnn (his childhood sweetheart) moved to Los Angeles where Redford picked up work as a ghost writer. He assisted on Starsky and Hutch, and other series, but he was destined to make his mark for scorin emotional, dramatic music in the classical tradition. Redford's agents arranged for him to meet with Bethany Rooney (then Beth Hillshafer), who was Bruce Paltrow's Associate Producer for a new medical drama. Soon after, Redford met directly with Paltrow and the St. Elsewhere brass. J.A.C. REDFORD (from his book, Welcome All Wonders) ... "I clearly remember walking into the office and seeing them draped about the room on sofas and chairs, waiting to be 'blown away'. Bruce had heard that I wrote 'classical' music and had asked me in advance to bring to the meeting a recording of my favorite piece among the concert or chamber works I had written. That was my Cummings Song Cycle, but something told me that they weren't quite going to relate to that, so on Side Two I included a recording of 'October Overtures'. Sure enough, after hearing the first few bars of the Song Cycle. Bruce stopped me and said 'That's not what we're looking for. Do you have anything else?' I flipped the tape over and the bright rhythms and cheerful harmony of 'October Overtures' filled the room. 'So, you're the real thing,' Bruce said, as if somewhat surprised. 'Yes sir,' I answered." And with that, St. Elsewhere had a resident composer, but not necessarily for ALL of the music. J.A.C. REDFORD ... "Originally I was going to write the theme as well as do the scoring. I wrote about five different themes for the show, and the last one of those they were happy with, but there was ambiguity about it. Bruce just wasn't certain... and he consulted with Arthur Price, then President of MTM. 'How can I be sure J.A.C. 's theme is really good?' Bruce asked Price. Arthur was a friend of veteran film composer Dave Grusin, and (said) to Bruce 'Hire Dave to do the theme.'" BRUCE PALTROW ... "Dave actually made the deal with Arthur Price who had known Dave from somewhere. We couldn't afford him, so Arthur did whatever he had to do business-wise to make a deal with him to write the theme. Then, we got J.A.C. Redford to really DO the music subsequent to that." J.A.C. REDFORD ... "The experience could have been a setback for me, but it turned into a blessing. Dave and I became acquainted. He liked my music and was later instrumental in my getting other work." And so, Paltrow had "scored" two coups - a brilliant theme by Grusin (who also scored the pilot), and six seasons of the most beautiful musical scoring in the history of dramatic television. The process for the latter was not a "one-shot" deal. J.A.C. did not simply write two or three themes, and then reapply them week after week. J.A.C. REDFORD ... "I wrote every score by hand individually, and geared it for that particular episode. Now, there were some recurring themes, but even (then) I would draw off of material and readapt it for the new setting, so I have handwritten scores for virtually every single episode." Artistic as it was, creating and producing the music of St. Elsewhere involved grueling schedules. BETHANY ROONEY ... "There would be two screenings, or what we called 'spotting' sessions. The first one was for music, and the second one was for sound effects. In those days, we actually did it on film in a projection screening room. Nowadays everything is down on tape. We would sit in the screening room, J.A.C., CHRIS BROOKS, and myself, and decided on the music. Later in the same day I would have another spotting session with the sound effects people - the main editor was KEVIN SPEARS. I believe we spotted on Tuesday, we would score on the following Monday and then we would go to the dub stage on Wednesday." ON CALL ... How far ahead did you work on the music? BETHANY ROONEY ... "It depends on how late in the season it was, because when you start production in July and you don't air 'til September, you have a lot of lead time. But when it gets in the last half of the season, sometimes it would be maybe only ten days between the time we finished shooting an episode, and the time we had to complete post production on it, and turn it over to the Network. That was rare, but then we'd get a couple of preemptions, and we'd get to catch our breath." J.A.C. REDFORD ... "I'd go in on whatever day of the week it was that we were spotting it, and then a week later I'd go in to record. Some days, I'd record in the morning and spot the next one that afternoon. Spotting refers to picking the spots where the music is going to go, where the cues will fall, so that the spotting session would not just be about aesthetics, but it was also about where it should start, where it should end, and what the content should be. We would sit and watch the whole show through, and pick all the spots, then I'd go home and write the music for it. A lot of episodes had seven minutes of music in them, sometimes they would have twelve, and sometimes hardly any, it just depended. It would take me the week to score an episode." 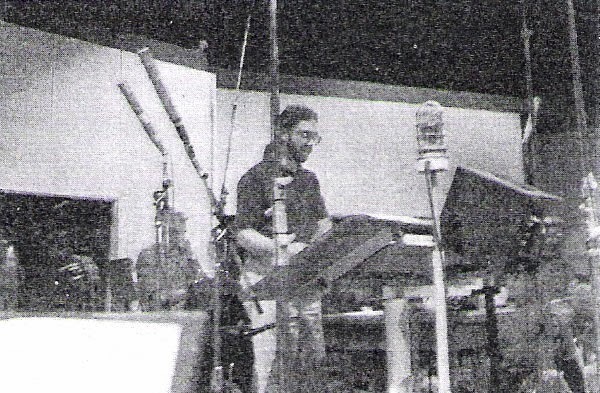 Recording sessions usually took place at Evergreen Studios in Studio City, now called "Ground Control". J.A.C. REDFORD ... "It was a 'dry' room, we liked the intimate quality that that gave us. We didn't use a huge amount of reverb, so the scores I think were a little bit drier than you heard on the Universal episodes from that period. Partly that was my taste and partly the nature of the room in which we were recording. We would record an episode, generally speaking, in a three hour day. We recorded it essentially live, we didn't do a lot of over dubbing. I would conduct the orchestra, and for the first couple of years, my wife LeAnn would sit in the booth and read the scores, and inform the engineer what instruments were playing at the time, and what was coming up, so that he could mix it 'live'. It's what you call a hard mix, we just mixed it as we went." Over the course of six seasons, the orchestra varied in size, personnel, and instrumentation. J.A.C. REDFORD ... "When we started out, we had seven violins, three violas, three celli, a bass and a string group. Later on, we bumped that up to nine, four, four and two on larger scores, maybe, on occasion, even twelve, four, four, and two, to get a larger string sound. In the woodwinds sometimes we used two, and they were doublers so we could have them play flute, oboe, or clarinet depending on the needs... I also had an EVI, which is an Electronic Valve Instrument. It's like a synthesizer that's played like a trumpet. We had a very unique musician, Nyle Steiner, who played that instrument, and he could make it sound like a woodwind, or a trumpet. Occasionally we'd had a couple of French Horns, and a solo trumpet, and we always had two keyboard players - generally it was divided with one playing acoustic piano and the other playing synthesizer. We usually had two percussionists, and rarely would bring in a guitar if the episode required it. All tolled, with of those variables, we tried to keep the size of the orchestra to 25 or under on regular weeks, and on special weeks, tried not to go over 30." But even with a talented composer and a full orchestra at work, the musical scores for St. Elsewhere didn't just appear on television right out of the recording studio. Sometimes, fine tuning was required. WILLIAM GAZECKI (Music Mixer) ... "If something wasn't working (they'd say) 'Can you do something with this? Can you make it louder, make it softer, put it in a different position, have it start earlier, or end earlier? ', then we'd fool around with it. But if it was the wrong tempo, or if it was a crash cart scene and a lot of running down the hallway, they would say to the music editor 'Can you find something else, or can you re-cut this?' Sometimes the music editor and I would work together and we'd put up another cue and mix two cues together or any number of technical solutions to create a different musical score with the materials we had at the time." And for those who worked on sound and music for St. Elsewhere, the process involved much more than just pushing buttons. WILLIAM GAZECKI ... "Music is all about emotion, it's not supposed to stand out, it's not supposed to be in your face, it's supposed to be integrated into the whole dramatic motion of the story. But, were it absent, there would be a great gaping hole, so it's supposed to be seamless. Our job as sound people was to make the picture seamless. So in every element, the dialogue, effects, and music, our job was to remove any kind of abruptness in the editing, and in the story telling, and to provide continuity and fluidity throughout the piece." Of course, most composers will say THEIR job is to provide background and to help establish mood. But Redford's scores always transcended that. TOM FONTANA ... "Let me tell you something. In the moments of darkest despair, we would be editing an episode and a scene wouldn't work, for whatever reason - it wasn't written well, it wasn't acted well, it wasn't shot well enough by the director - in those moments of abject despair, Maish and I would turn to each other and go, 'Thank God we have J.A.C. Redford.' He would take a scene that was dull, and suddenly, you'd be weeping... his music helped write the scene." MARK TINKER ... "J.A.C. Redford's scores really added a lot. In fact, there wasn't a time when I went to view the final edit that I didn't get choked-up. His scores were David Morse where particularly moving." J.A.C. REDFORD ... "Not only did I write themes for the individual characters, sometimes they had themes that developed and became more than one theme. But I also wrote themes for the individual stories. So if there was a continuing story that went over a few episodes, I would have a theme that would carry through for that." SAGAN LEWIS ... "I did a scene that was thrilled with the music on. Jackie was having a really tough time, her husband had just left her, and she's in the locker room. Originally it was written kind of like a joke - where I'm taking off my clothes and don't even realize it, and then Fiscus says, 'Jackie, you're naked.' (Well) I started crying, and that came out of nowhere, I hadn't planned it that way, and Howie just sort of sweetly came over and put a blanket around me, and the music under that was just wonderful... a little musical thing that really enhanced the sweetness of the scene." J.A.C. Redford's work on St. Elsewhere was nominated for two Emmys, but he should have been nominated (and won) every year. Skipped over for theme duty and the pilot score, Redford went on to pen 136 of the 137 episodes, the final one of which was a family affair. J.A.C. REDFORD ... "The closing episode called of an operatic aria to be heard coming from a sound system in one of the Doctor's offices. We didn't want to pay a hefty licensing fee for the use of an existing recording, so I hired my mother to sing Puccini's glorious aria 'La Canzone di Doretta' from La Rondine. As a child I often heard her practicing this aria late at night, while I lay in my bed on the edge of sleep. Something beautiful had come full circle for me. I loved working on St. Elsewhere. I think of the characters almost like members of my family, I miss them, I wonder what they're doing now. It was the kind of show that really got inside of you and got a hold on your heart. It made my career in a lot of ways and gave me a lot of credibility for other projects." For J.A.C. Redford those other projects have included scores for the highly acclaimed What the Deaf Man Heard, Chance of a Lifetime, and NBC's The Promise (directed by old pal Bethany Rooney). His book Welcome All Wonders is available through the Internet at: http://www.jacredford.com.